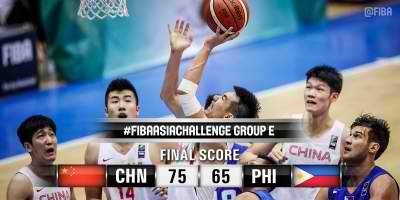 #FIBAAsiaChallenge: Gilas Pilipinas vs. China Results, Highlights and Full Video Replay (Sept. 12, 2016) - Balita Boss! Gilas Pilipinas, the Philippines men's national basketball team, will face China in the second round of 2016 FIBA Asia Challenge. Gilas 5.0 lost their first match against India, 83-91, then suffered their second defeat of the tournament by losing to Chinese Taipei, 87-76. The Philippines advance to the second round of the preliminaries, where they will play China, Jordan, and Kazakhstan. China, who top the Group A in the preliminary round, will be the next opponent for Gilas Pilipinas.